In her most gripping mystery since House Rules, Number One bestselling author Jodi Picoult brings us a powerful story of a young girl's determination to uncover the truth. Jenna Metcalf was with her mother the night she disappeared, but she remembers nothing. In the wake of those tragic events, she has lost not one parent, but two: her father is in an asylum, and now she lives with her grandmother - who finds it too painful to talk about what happened. Ten years on, Jenna is the only one who still seems to care. And she is determined to seek the truth, no matter how shocking and life-changing it might be . . . I actually rather enjoyed this book, although I can understand the mixed reviews it has received. I read it quite fast, despite the elephant chapters being a little too detailed for my liking. As with all Jodi Picoult books, it has been meticulously researched and it has a few surprises in store along the way. The story is about Jenna trying to find her Mum, Alice, who disappeared when she was a toddler. Jenna enlists the help of Serenity, a psychic, and Virgil, the detective who was investigating Alice’s disappearance. Each chapter is told from the perspectives of Jenna, Alice, Serenity and Virgil, and cleverly interwoven by Jodi Picoult. 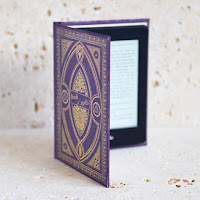 At first I enjoyed learning about elephants and how they cope with different emotions but, due to the level of detail, it did become a bit tedious in the end as I just wanted to find out what had happened to Alice. I thought the whole story was very clever as I didn’t expect it to end the way it did, despite some clues being there that I completely missed. It also gave me a greater understanding of these majestic creatures and adds irrefutable evidence to the theory that elephants never forget. 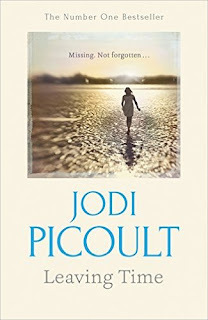 Although not as emotional as I have come to expect from Jodi Picoult, I enjoyed Leaving Time but sometimes I felt I was reading a natural history book as opposed to a fiction novel. I know it wouldn’t be classic Jodi Picoult without all of the detailed research, but unless you are a huge fan of elephants some people may find this book hard going. 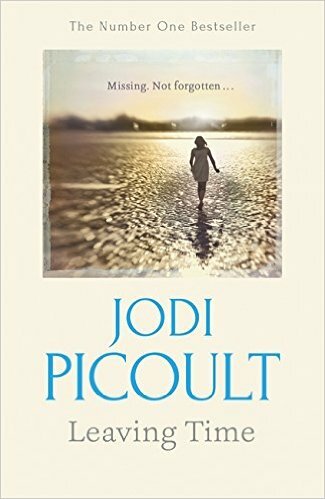 It’s a fascinating story about a mother’s love spanning the animal kingdom, meticulously researched and written with the inimitable charm of Jodi Picoult.